The IPRC has four Cores. Our Administrative Core provides leadership for the Center, including setting long-term strategic goals; monitoring day-to-day activities; developing new research initiatives; and interacting with a variety of practitioner communities. The purpose of the IPRC’s Research Core is to expand the scientific base for injury and violence prevention. The activities of our Outreach Core focus on disseminating and promoting current evidence-based injury and violence prevention strategies. Primary points of contact for our outreach activities are the state health departments receiving funding from CDC’s Core State Violence and Injury Prevention Program (Core SVIPP). 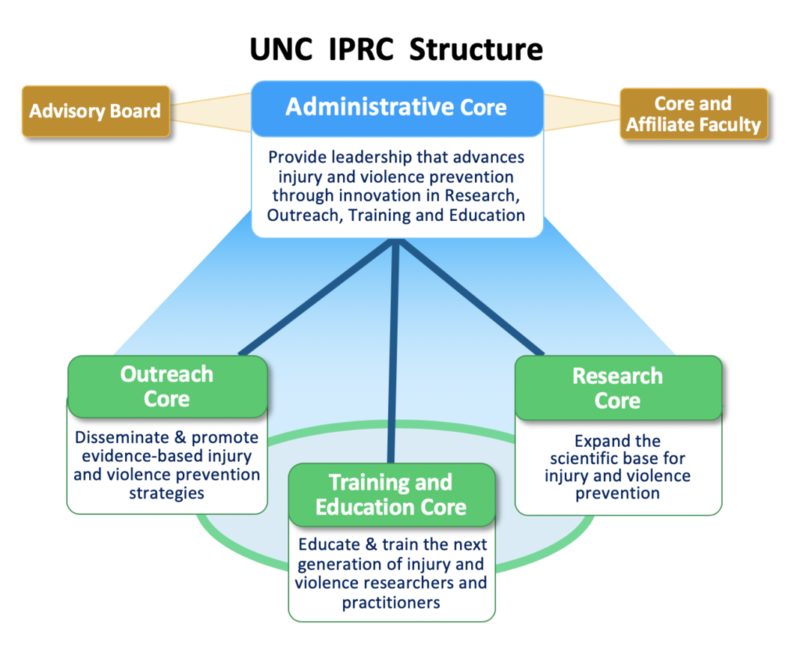 The IPRC’s Outreach Core works synergistically with our Training and Education Core, which focuses on providing education, mentoring, and training programs for injury and violence prevention researchers and practitioners.